Like new and ready for immediate occupancy! Relax on the oversized balcony & watch the boats go by. You will love living in this friendly beach community located on 14 acres between the Atlantic ocean and the intracoastal waterway where you can enjoy all the advantages of a move-in ready property tastefully appointed and loaded with upgrades such as a new kitchen, SS appliances, Bosch washer/dryer, fitted closets, new shower with high-end fixtures, new electric panel, A/C & more. 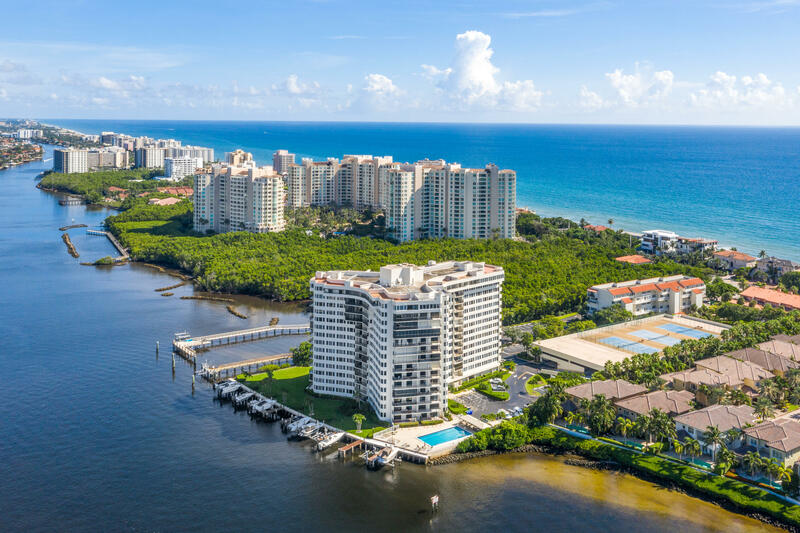 Enjoy the updated lobby and community room, tennis, pickelball, salt-water pool, fitness center, on-site management, 24-hr gated entrance and healthy reserve fund. PRIVATE BEACH lined with shady tiki huts, chaise lounge chairs. Storage room on same floor & garage parking. This is a dream property!